The Oregon Book Awards Author Tour brings our state’s most accomplished writers to 8-10 communities each year. We work with local librarians, bookstore owners, literary organizations, and writing groups to develop tour activities that connect and inspire Oregon’s readers and writers. The tour includes public readings, free workshops and book group and school visits. 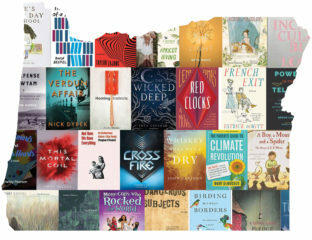 In addition to the Author Tour, and to ensure that the honored books are available to all Oregonians, Literary Arts partners with publishers and the Center for the Book at the Oregon State Library to distribute approximately 400 copies of Oregon Book Awards titles, along with bookmarks promoting the authors, to libraries across the state. If you are interested in hosting a tour in your community, contact Susan Denning at susan@literary-arts.org.